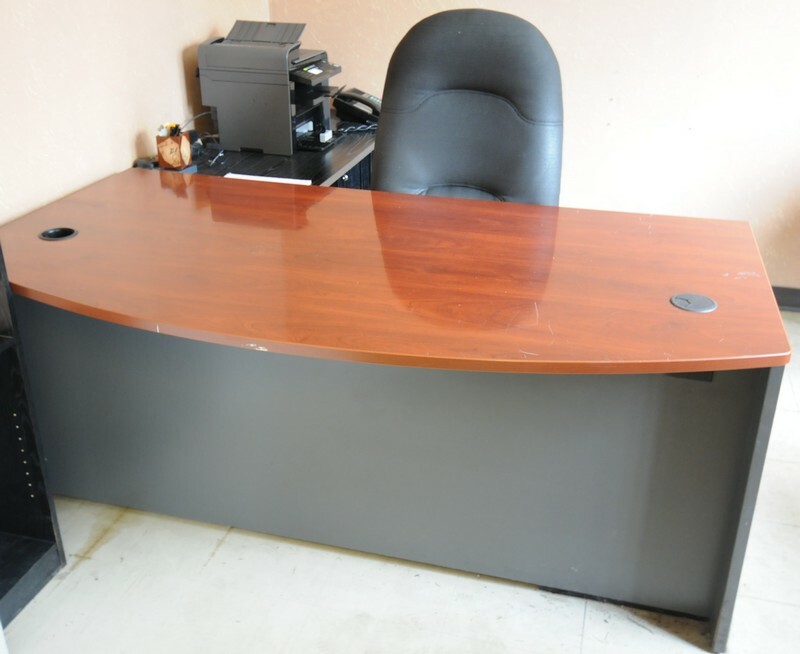 Corporate Assets Inc. | AltoMax Inc. - Corporate Assets Inc.
All items must be removed no later than Friday, August 31 by 5:00 P.M. BY APPOINTMENT ONLY. 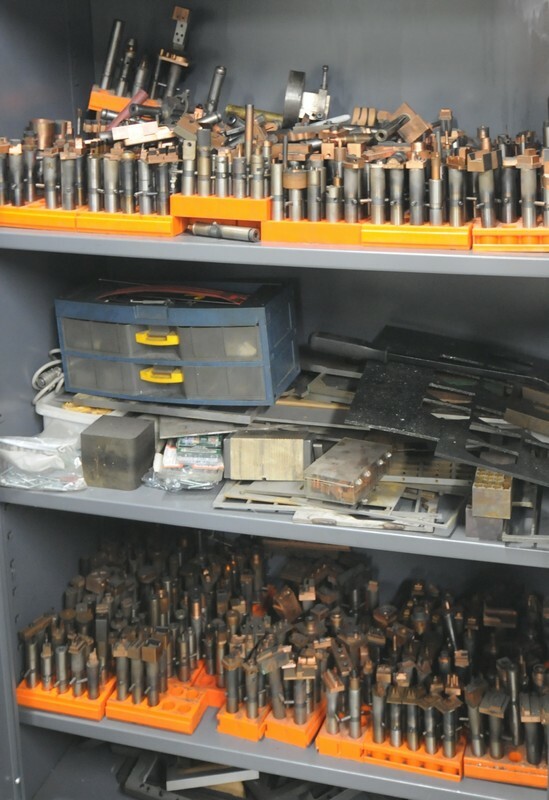 Please email pickup@corpassets.com to arrange a date and time. 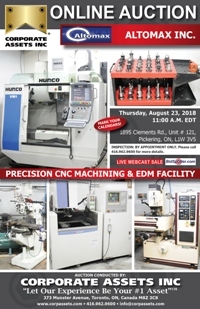 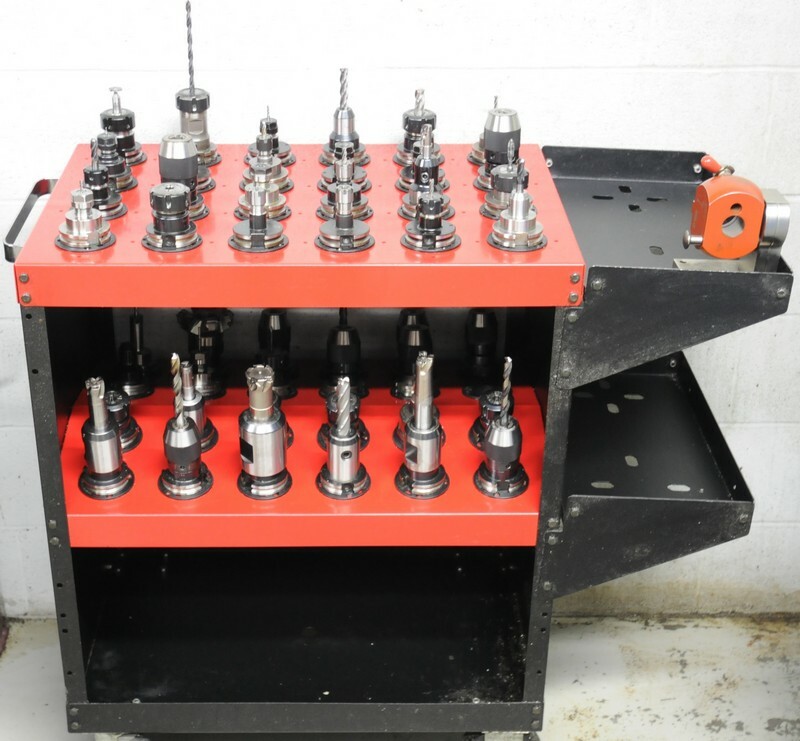 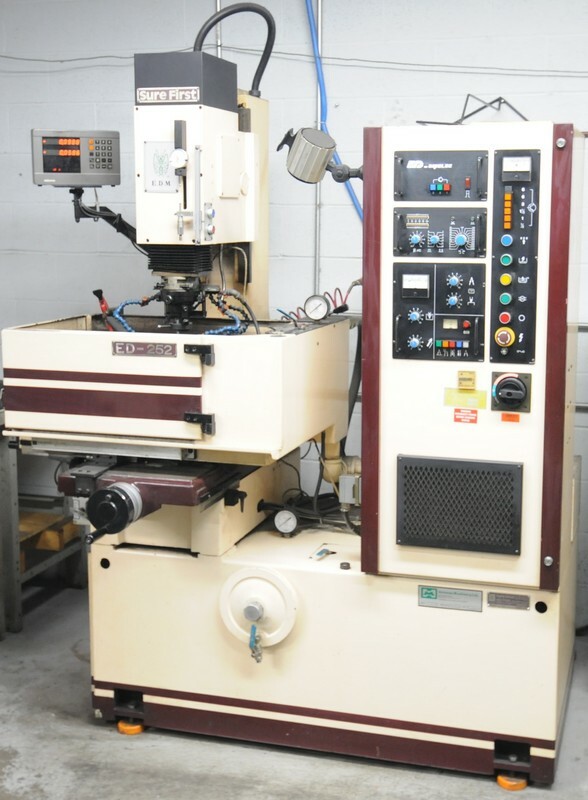 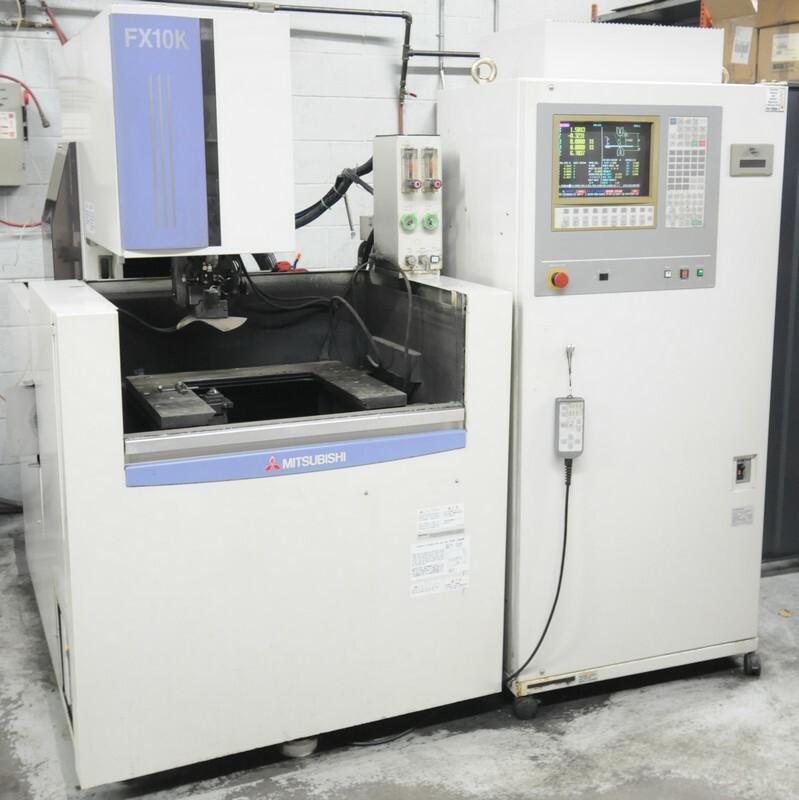 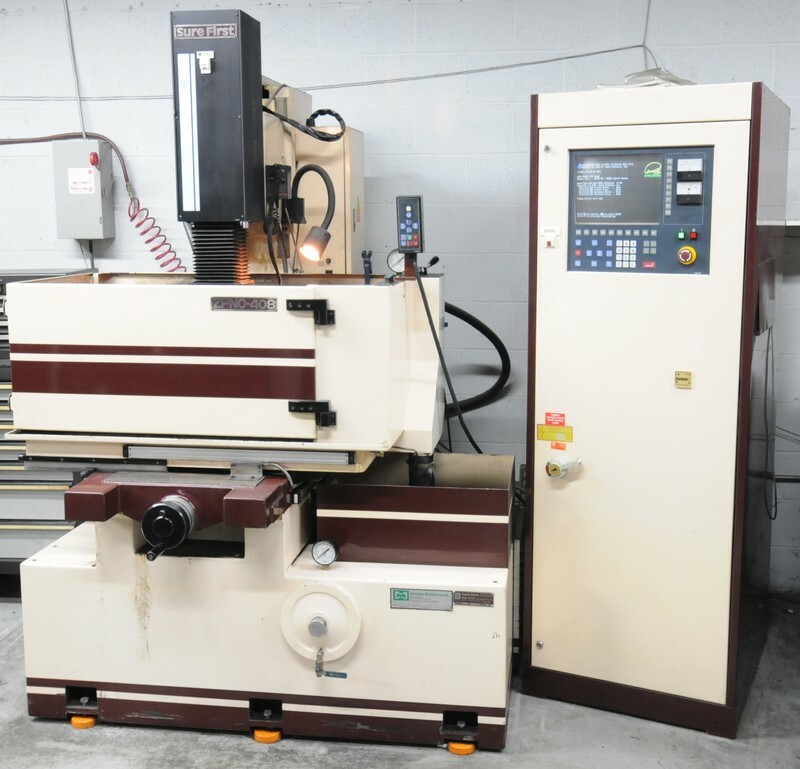 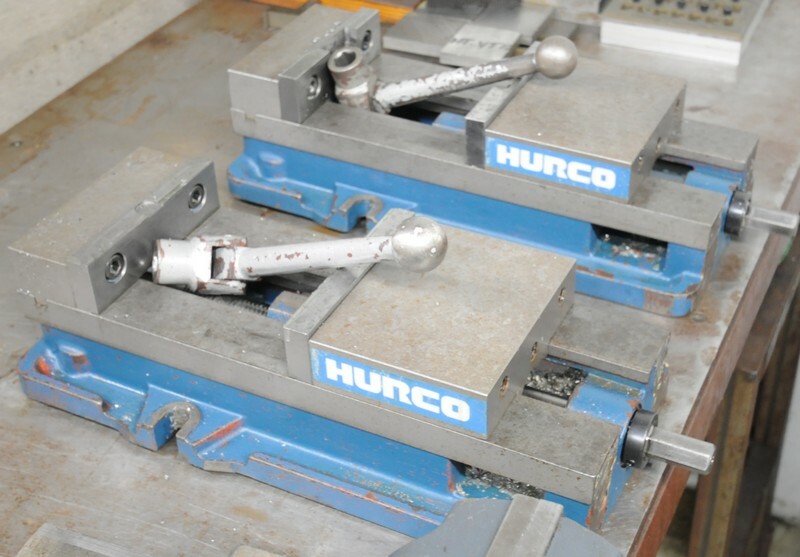 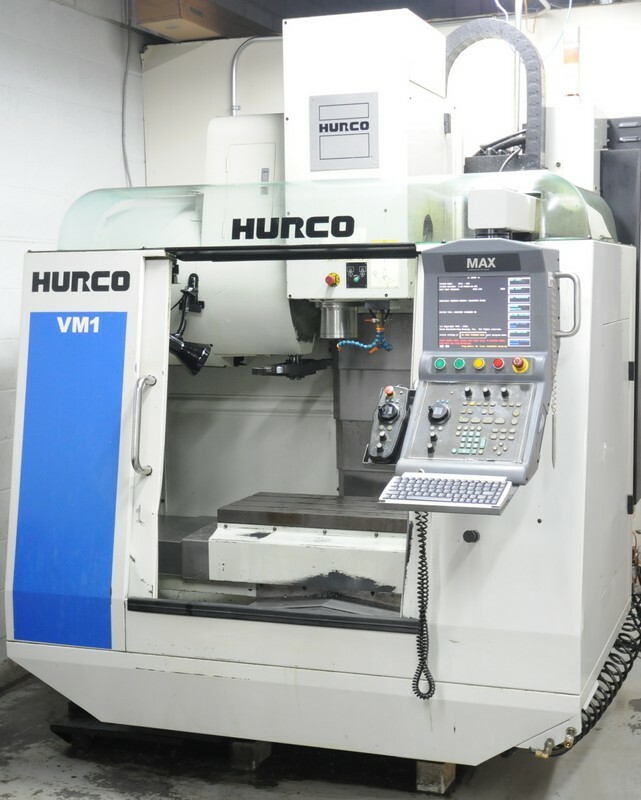 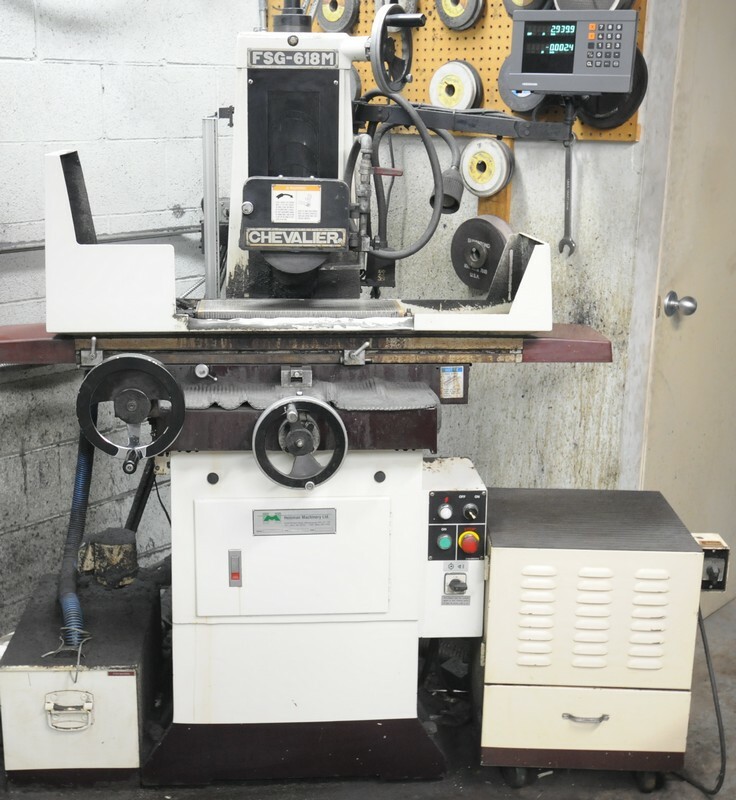 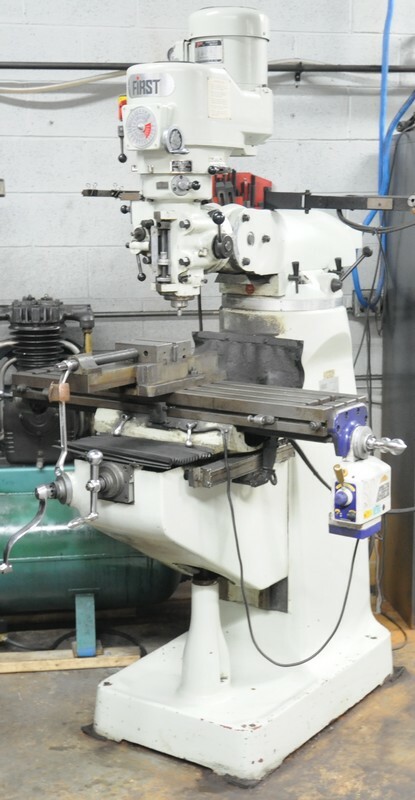 FEATURING: HURCO (2006) VM1, CNC vertical machining center w/ 8000 RPM, 16 tool ATC & CAT 40; MITSUBISHI (2004) FX10K, CNC wire type EDM; (2) SURE FIRST ZPNC-408, CNC ram type EDM’s; SURE FIRST ED-252, ram type EDM; FIRST vertical milling machine w/ power feed & DRO; CHEVALIER FSG-618M, surface grinder; ASSORTMENT OF EDM tooling, CAT 40 tool holders & carts, air compressor, precision inspection equipment, rolling tool cabinets, machine tool accessories & More! 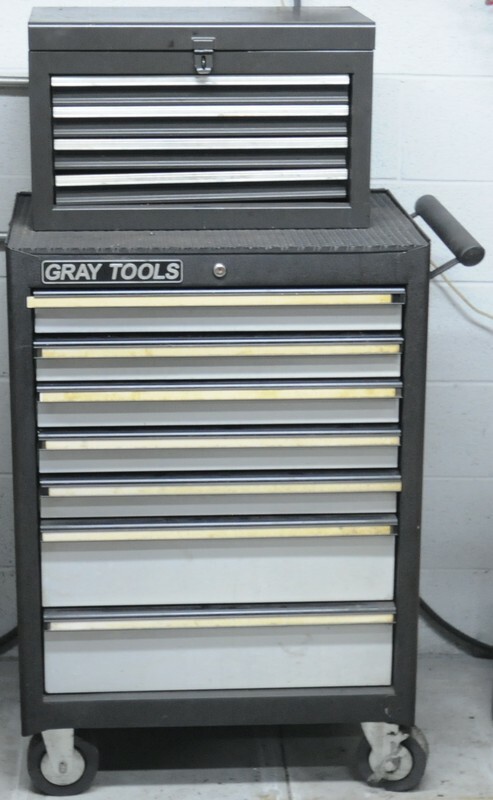 (2) GRAY TOOLS late model rolling tool boxes; (3) LISTA type workbenches; (3) HIBOY cabinets with tooling; rolling granite surface plates; hand tools, power tools and perishable tooling; selection of CAT 40 tool holders; HUOT tool cart; (2) KURT 6" machine vises; SYSTEM 3R head with electrodes; fastening hardware; clamping; NORTEL phone system; executive office furniture, business machines and much more!